So you’ve decided you are sick and tired of renting paying someone else’s mortgage and you’ve made the conscious decision to purchase a house. So where to begin your home buying efforts? Do you start online? Do you talk to a realtor? Do you start looking at houses on the weekend and try to figure out how much you can afford? Do you talk to your parents, family, friends, how about where you do your banking at? There are so many different avenues you can take to get the information necessary on one the largest financial transactions of your life. There are so many factors to where to purchase a home, how to purchase a home, and then there’s always most common phrase in real estate “Location, Location, Location.” Agreed location is certainly important, but more importantly especially if you don’t have several hundred thousand dollars to buy a house outright (free and clear), is being able to actually afford the home and sustain the monthly payments over time. You want to provide all this information to the loan officer upon your initial meeting with them or even better yet, sending it into them prior to your initial meeting so they have an opportunity to analyze your financial situation ahead of time. During this appointment if they haven’t already, they’ll want you to give them job history of the last two years, residence history for the last two years and details about your financial situation to tell a story. This gives the loan officer a feeling of how much you’ll be able to purchase given your potential down payment considerations. Speaking of down payment, the least you can purchase a house with zero down 100% financing on the USDA program, however there is an annual limit on the income for that particular program at $93,000 per year. If whatever reason you don’t fit that box, the next least down payment program available is an FHA loan where the only down payment you need is 3.5% of the purchase price. Or depending on what down payment capability you have you could always go with the conventional loan and put down 20%. We advocate most people take out a 30 year fixed rate mortgage when buying a home for the first time, because it provides payment sustainability over time. Here is our full program gamut. After allowing the loan officer to run your credit report, they’ll be able to take into consideration your gross monthly income and qualify you on the spot (if they’re good) and give you an idea of how much you can afford on monthly basis immediately. For example majority of the time they’ll take into consideration a 45% debt to income ratio which encompasses most programs, the programs do vary from time to time as far as max allowable debt thresholds, but generally 45% is the best barometer for determining how much mortgage payment you can afford. If you earn $5000 per month and you have no monthly consumer debts such as credit cards are auto loans etc., the maximum mortgage payment you could afford would be $2250 per month which will encompass principal and interest, monthly property taxes, monthly fire insurance and monthly mortgage insurance, if applicable. *Note if you are putting less than 20% down on a home purchase, you will need monthly mortgage insurance in most cases for a minimum of five years, have a conversation with your loan officer as this varies mortgage loan programs. 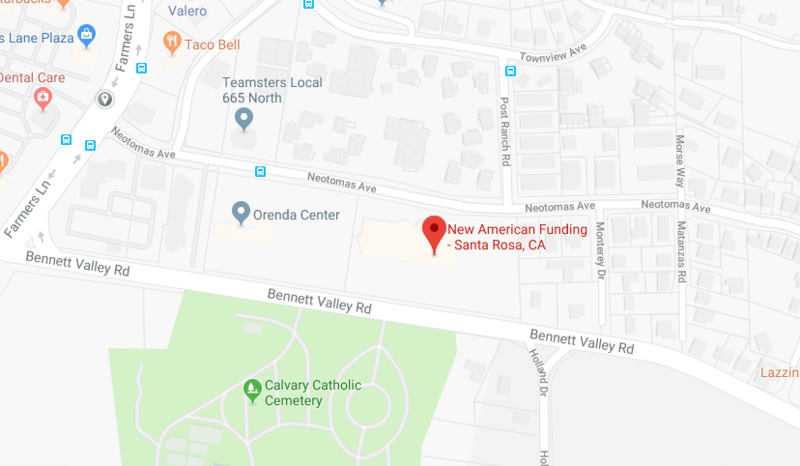 Next: You and your loan officer will go over how much purchase price you can afford relative to the monthly payment and loan program for Sonoma County, CA. Quick Tid Bid On The Market: Short sales are transactions where bank is being shorted their original dollars lent on a property they made a loan against in the past. These take 3 to 6 months in most cases because the bank has to agree to lose money. Other transactions include foreclosures/REO property where the seller is a bank. At this point, you should have a pretty good feel for how much down payment your comfortable using, what your monthly payment will be, what your purchase price will be and what loan program you’ll be going with-loan officer (again if they are good) should be able to issue you a pre-approval on the spot. Next thing the loan officer would want to do with you is make a recommendation to a good real estate agent unless you already have a trusted real estate professional you be working with and from here it’s on to the house search, phase 2. After getting connected with a real estate professional, you’ll want to to get on their client portal. The client portal allows you to see in real time the status of properties changing on the market as well as new properties coming onto the market all in real-time. The best part about it is you can literally get a notification on your smart phone within seconds and have a phone call or text message into your realtor about seeing the property or better yet, making an offer to purchase the property. Most real estate agents and most home sellers, allow you to use electronic signatures making the purchase offer process extremely efficient and very smooth. You can make an offer to purchase a home by a few clicks on a tablet computer or on an iPhone for example, in other words making a purchase offer on a property takes less than two minutes creating tremendous ease in your home buying efforts. 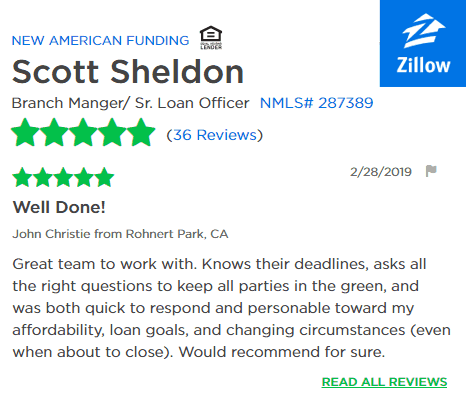 Prior to making that offer however, people always want connect with the loan officer to make sure the house that they’re about to make an offer on is an affordable one that’s within their means. In our experience, many buyers typically like to ask us what their monthly payment is going to be approximately along with down payment and closing costs will be before each and every offer. Some people prefer writing the numbers like this each and every time which is completely okay, however it might not be necessary especially if you have the loan officer give you payment ranges, purchase price ranges and closing costs ranges upfront with a detailed spreadsheet upfront, so when you’re out there making offers like on a Saturday or a Sunday, you’re not chasing down the loan officer trying to figure out what your payments going to be, only to not get your offer in until Monday, anyway. Have a conversation with your loan officer Friday morning of the house hunting weekend, have them prepare a detailed purchase analysis for you, as well a pre-approval letter for your real estate agent and you can be well on to making an offer or a couple of offers over the weekend. Inevitably, during the house hunting phase, you’ll see multiple different types of properties. If your loan is a conventional loan, or a government loan, most likely you’ll be looking at a single family residence, a condominium, a planned unit development or a multi-unit property 2 to 4 units. Anything other than this such as a mobile home, or modular home or a manufactured home, are virtually unlendable. Make sure you discuss with your loan officer homeowners association payments on planned unit developments (Pud’s) and condo’s .  A condominium is in a joint community and the community rules dictate what some owners can and cannot do in exchange for having this level of control there’s a monthly expense you’ll be required to make a monthly basis that will be a factor in your qualifying ability. Some properties have health and safety concerns that will have to be cured or fixed prior to closing escrow. The good news is most of these things can be fixed relatively easily. Here is a list property compliance with health and safety concerns. Now, you have successfully gotten into contract to purchase a property and you have a certain period of time you need to close, could be anywhere between 30 days to 45 days, but most commonly 30 days or under is the norm. By now, you also need to update your pay stubs and most recent bank statements with your mortgage lender. They will receive a copy of the ratified purchase contract from your real estate agent. During this time, you’ll want to put your actual earnest money into escrow. A local title company like First American Title for example hold the funds as good-faith money that you are committed to buying a house, and these funds will be applied toward your closing costs and/or your cash to close in the end. Next up-ordering an appraisal. The home valuation code of conduct law prohibits you from randomly selecting any appraiser. You’ll need to provide a credit card to the mortgage lender and they will in turn placed the order through an appraisal vendor or that they’re contracted to do business with as an affiliate business relationship. You’ll be guaranteed a local appraiser to the property. Expect about a week’s turn time on the appraisal. Most commonly, your buyers agent will be the contact for the appraiser entry to the property and they walk the property with your agent and they can point out any particular concerns or questions about the property thus aiding the appraiser. For our purposes, we will say your loan is approved with conditions. Simply put, it means the loan will fund as long as you can meet the conditions set forth by the underwriter.This might mean writing letters of explanation, providing some sort of explanation about previous job history, income history or any credit characteristics of your file. They might have a question or need more financial supporting documentation on anything related to credit, debt, income, or assets. It might mean providing paper trails if you opened up bank accounts or transferred funds or moved money around. It could be whole slew of different things it’s nothing to be concerned or worried about, so long as the things that are requested are obtainable to aid the lender in securing financing for you. After sending in the conditions to the lender, the lender will subsequently review these items and if appropriate, will sign them off and subsequently release your loan for final funding and loan documents will be sent to the title company. It is also during and/or around this time, you may or may not choose to release your loan contingency and appraisal contingency or inspection contingency. This is between you and your real estate agent. As long as your loan is approved in any way, almost 100% of the time, you are safe to release contingencies, (meaning committing your earnest money dollars originally put into escrow) but that is between you as the buyer and your real estate agent , not your lender, as your lender is not a party to the contract. You have made it this far and the gap between you and homeownership is so very small, you’re almost there! Few things have to happen first, you need to sign the loan documents which can take place at your home with a mobile notary or if you prefer the local title company or even at your real estate agent’s office or mortgage lender’s office. It doesn’t really matter where you sign, you’ll have a mobile note notary there or escrow officer who can assist you in going through all the various loan papers and making sure you understand itemization of the all the fees in accordance with financing and how the loan and purchase price and numbers affect each other. After signing the loan papers, the title company overnights your funding package back to the lender. From there it’s up to the mortgage lender and the title company to make sure all the final “i’s” are dotted”t’s” crossed. In some instances especially if there’s not much contractual time left, the lender might arrange to do a wet funding where they fund the loan immediately upon execution of the loan papers or a next day funding once they receive your redundant package. If either scenario is not an option, typically loans fund within two days of the lender receiving the funding package. Is buying a house in Sonoma County something you’ve been thinking about? We can help, contact us today to learn how simple an otherwise daunting process can be. We successfully navigate homeowners through the process of home buying into homeownership, daily.